Dr. Barnard is my HERO! I wouldn't be off diabetes medications without the guidance in his books and videos. 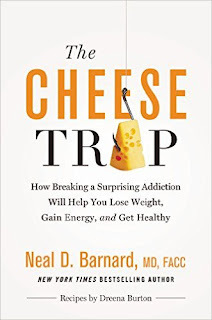 And now, he's got a fabulous, new book to help people with cheese addiction and weight loss. This is the PERFECT book to share with family and friends! And, Dreena Burton wrote the recipes for the book! Need I say more? 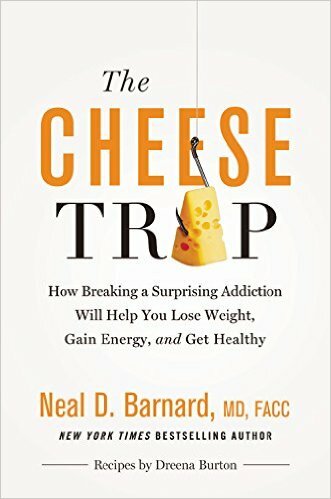 CLICK HERE to purchase THE CHEESE TRAP! Cheese is indeed an addiction. Thanks for sharing the information on this book. I stumbled upon your website and read a few of your posts and also read your article on Fork over Knives. Congratulations on your journey to the new "You". Yes it has its undeniable benefits, but it also took a tremendous amount of courage and determination on your part, I'm sure. Great achievement! Thank you, Martin! I LOVE that you are here! HUGS FROM TEXAS!